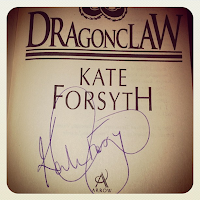 I received my signed copy of Dragonclaw: Book One of the Witches of Eileanan in a competition being run on author Kate Forsyth's website earlier this year. 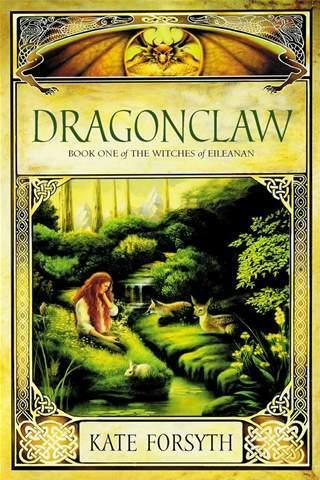 I absolutely adored her novel Bitter Greens and thoroughly enjoyed The Wild Girl, and so came to Dragonclaw (the author's first published novel) with high expectations. 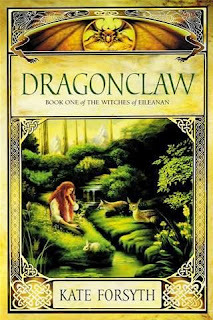 I knew before turning the first page that Dragonclaw is a YA fantasy novel, however in the very beginning when two witches are discussing the events of the land in front of an open fire, I found I had no idea what they were talking about and even wondered if I'd missed a book. I felt lost until I realised that the main character is feeling the same way, and the reader isn't supposed to have knowledge of the events being discussed. It was after this scene that I was able to let myself fall completely into the story. Dragonclaw is a rich tale full of witches, magic and dragons, and it isn't long before our protagonists are on a significant quest. There is much backstory to learn and Kate does a great job of drip feeding it into the plot although I was hungry for more. It was clear midway through the book that their quest would take them beyond book one of this series in much the same way that readers of Eragon realise they're settling in for a great journey a few hundred pages in. My favourite part of the book were the few scenes with the dragons; I found their characteristics and view of human life fascinating and I hope they appear again later in the series. In summary, I recommend Dragonclaw to readers who enjoy fantasy novels and quest-driven plots where good and evil must battle for control of the realm. Thank you so much for your lovely review! 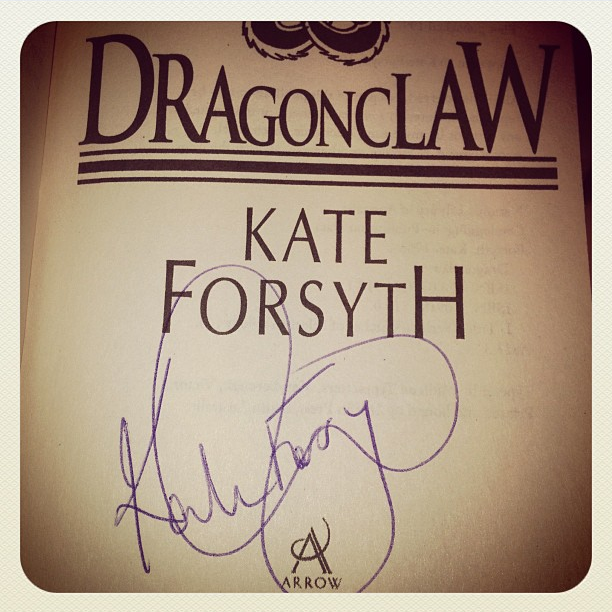 Its wonderful to see DRAGONCLAW - my 1st published book - still being read & enjoyed. I guess a good quest story with magic and dragons never goes out of style. I do hope you read the rest of the series too, Tracy! You're more than welcome and thanks for stopping by!